In the future fifth generation networked society, devices will suffer from the asynchronous multi-carrier effect which impacts the user’s quality of experience. 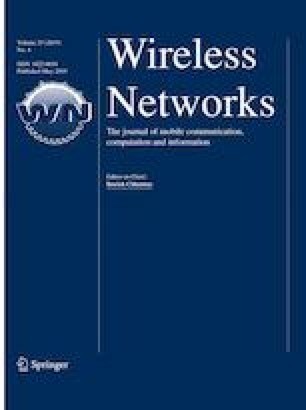 This paper investigates the timing misalignment effect on interference level in the context of a cognitive radio (CR) network. Our study considers both multicarrier techniques orthogonal frequency division multiplexing (OFDM) and filter bank multicarrier (FBMC). The originality of our paper consists in proposing a simple but accurate analytical model to evaluate our system’s performance in terms of interference level, signal-to-interference-plus-noise ratio and bit error rate. Specifically, two case studies are considered, a single-user case (one primary user and one secondary user) and a multi-user case with exact theoretical expressions of interference level. We had also made a comparison between OFDM and FBMC techniques. The most striking observation to emerge from our results is that the asynchronous interference is inversely propositional to timing offset even for the multi-user case, and that differences in the normalized interference level between the single/multi-user cases is barely perceived for the FBMC technique, proving its efficiency. Our simulations’ results had further strengthened our confidence in the suggested model. It shows that FBMC is best suited for CR networks since it provides BER improvements compared to OFDM. Fixed and Mobile IP Network Traffic Forecast—VNI, Cisco (2016). http://www.cisco.com/c/en/us/solutions/service-provider/visual-networking-index-vni/index.html. Accessed 13 Mar 2016. Bodinier, Q., Bader, F., & Palicot, J. (2016). Modeling interference between OFDM/OQAM and CP-OFDM: Limitations of the PSD-based model. arXiv preprint arXiv:1603.08697.